Price Reduced! Absolutely pristine and updated pool and spa home with OWNED solar! Double door entry and soaring ceilings welcome you to this California style pool home. The recently updated kitchen with quartz counters, designer backsplash, and stainless steel appliances overlooks the beautiful family room and sparkling pool and grass area. There is a full bedroom and full bathroom as well as a bonus room/office downstairs. Jack & Jill bedrooms and a spacious master suite with a huge walk-in closet are upstairs. Both upstairs bathrooms have updated tile flooring. The laundry room is conveniently located upstairs along with great storage. Save so much money with the owned solar panels! 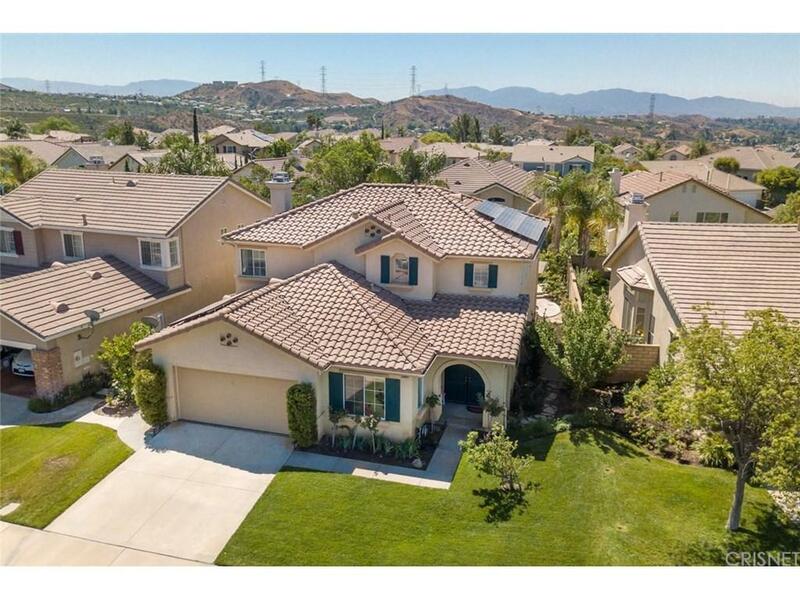 Excellent school districts and wonderful neighborhood make this home a must-see! Sold by Robert Mickalson BRE#01825192 of Exp Realty Of California Inc. Listing provided courtesy of Holly Thompson DRE#01825192 of Re/Max Gateway.